In Chinese GB 175-2007 Standard, general purpose portland cement is defined as hydraulic cementitious material made of Portland cement clinker and appropriate amount of gypsum and specified mixed materials. According to the variety and dosage of its mixed materials, it is divided into Portland cement, ordinary Portland cement, slag Portland cement, pozzolanic Portland cement and composite silicate cement, etc. The total content of the four main oxides can reach above 95%, in addition to the above four oxides, it also contains a small amount of MgO, SO3 and TiO2 , Mn2O3 , P2 O5 , Na2O , K2 O , etc . The above main oxides in clinker are not present as separate oxides, but react as two or more oxide combination after high temperature calcinations. Therefore, cement clinker is a multi-mineral composition with fine crystals and gelling material with specific gelling properties. 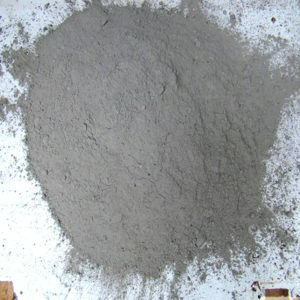 The mineral composition of cement clinker is mainly tricalcium silicate, which accounts for about 55%; then dicalcium silicate, generally content is about 20%, and tricalcium aluminate about 8% and tetracalcium iron aluminate around 15%. The hydration of cement clinker minerals is a complex physical chemistry process, which can be divided into three processes: ettringite formation, hydration of C3 S and the formation and development of microstructure.